Hello, everybody! 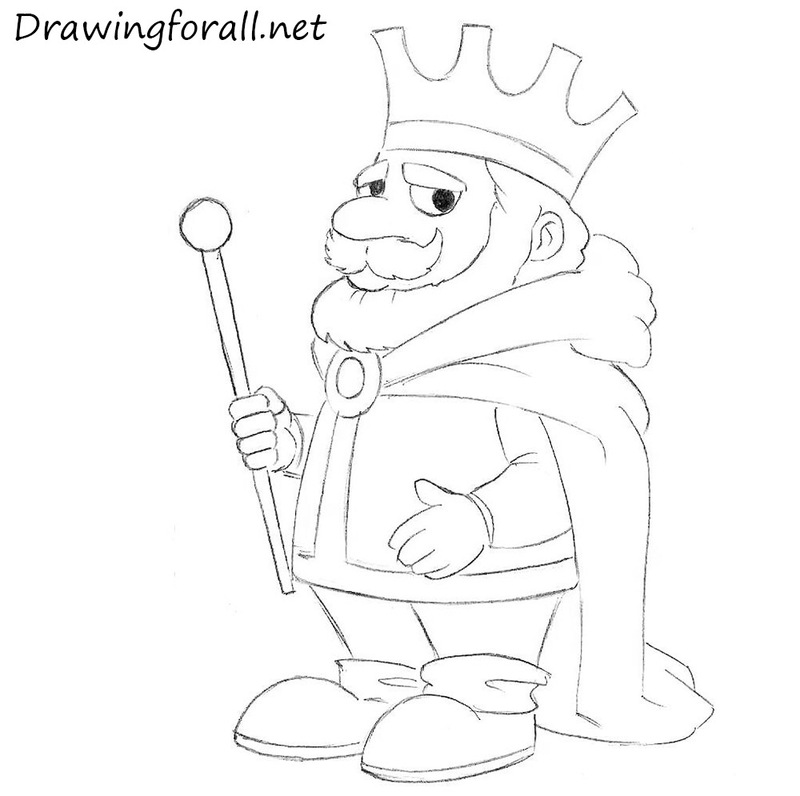 In today’s drawing lesson we will show you how to draw a cartoon king. It will be pretty simple tutorial. We have divided the tutorial into several steps. So, let’s start the tutorial. 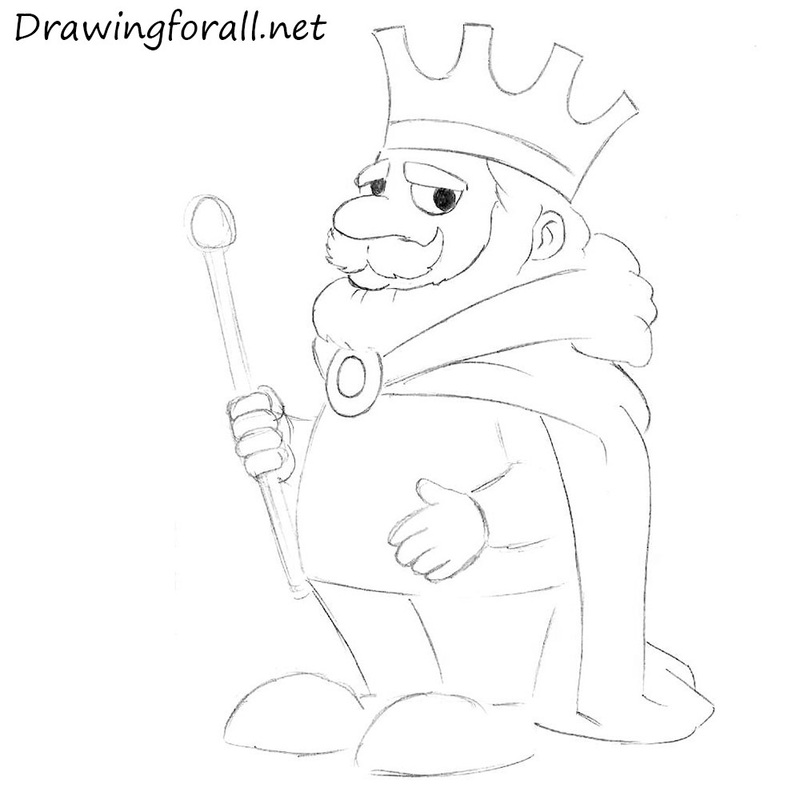 At first draw a circle as a guide for the head of the king. Draw the lines of facial symmetry. The vertical line shows us the center of the face. 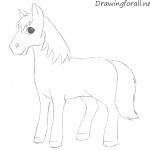 And using the horizontal line we will draw eyes. 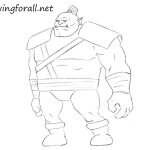 Draw the shape of the torso as in our example. Using cylinders draw the arms. Draw the shapes of the hands. 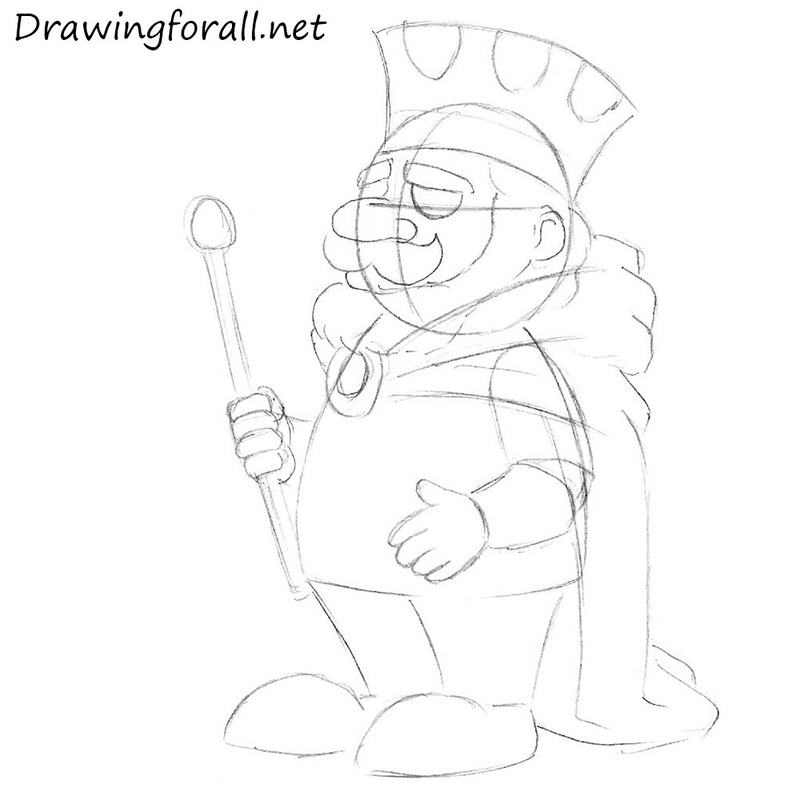 Sketch out the scepter in the right hand of the king. 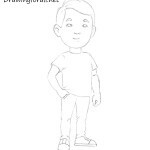 Sketch out the legs as in the example below. The main shapes are ready. Using semi-circles draw the eyes. Draw the brows right above the eyes. 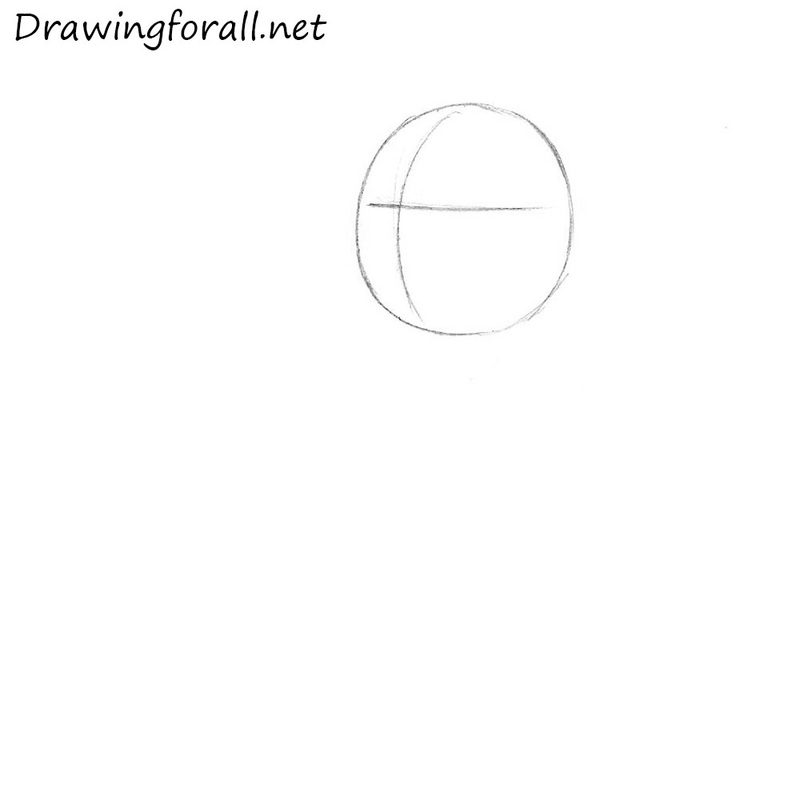 Draw the nose in the form of an oval. Using curved lines draw mustache and the lower lip. 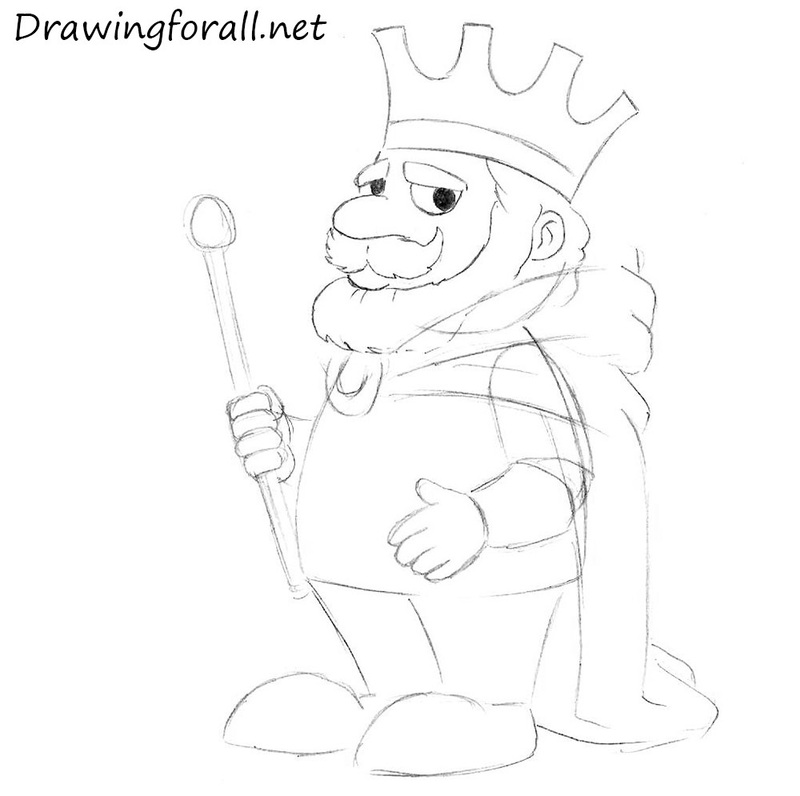 Using short lines draw the beard. 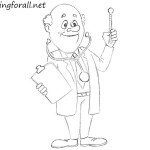 Draw the ear as in the example below. Using a trapezoid draw the general shapes of the crown. Draw the gears of the crown. 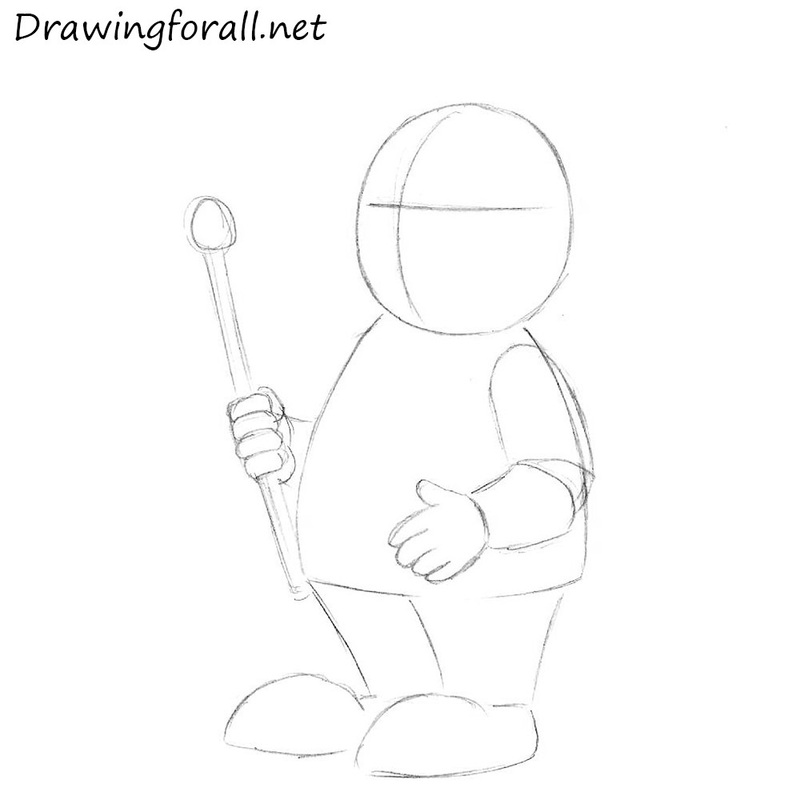 Draw the gown using long lines. Erase the guidelines from the head. Darken and smoothen the lines. Draw the pupils and paint them. Erase the lines from the gown. Make the lines smooth and clean. Circle the lines of hands and torso. Draw the pattern on the chest. Circle the lines of the legs. 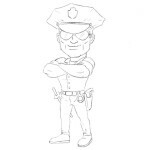 Draw the collars of the shoes. 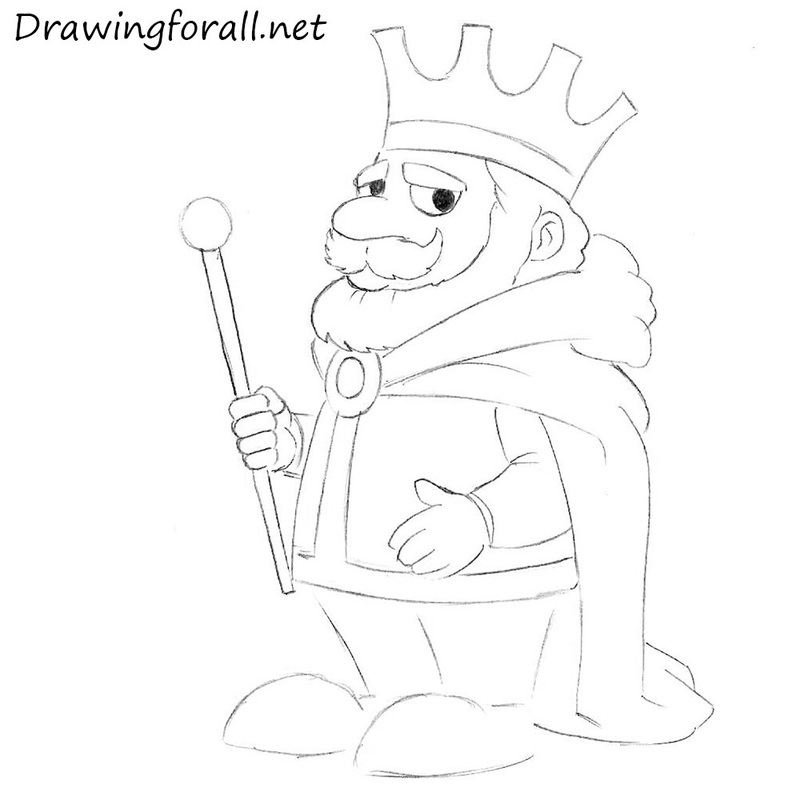 It was the drawing lesson about how to draw a cartoon king. We hope the tutorial was interesting and informative for you. 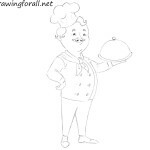 Stay tunes and wait for new drawing lessons by Drawingforall.net. Goodbye!